1st row (left to right): Xiao San, Chairman Mao, Rambutan. 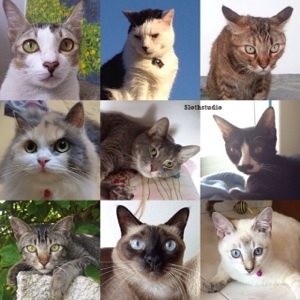 2nd row (left to right): Sweetie, Chibi, Minsky/Mini. 3rd row (left to right): Indah, Kiwi, Tara.